Last year, several of our firm’s community association attorneys wrote in this blog about the decision by the Third District Court of Appeal in the case of Spiaggia Ocean Condominium Association Inc. v. Aventura Management LLC that has since caused many Florida condominium associations to reconsider their collections strategy. In the split decision in early 2013, the appellate panel ruled that when the association for the Surfside condominium obtained title to a unit through its own foreclosure action, the association disavailed itself of its ability to collect assessments from the third-party purchaser at the bank’s foreclosure sale. 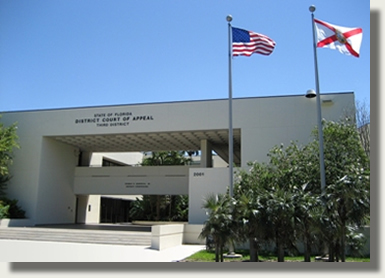 The appellate court reversed the order from the Miami-Dade trial court and remanded the case back to the trial court. However, the trial court again ruled in favor of the association, and the third-party purchaser appealed to the Third DCA. This time, the appellate court reversed the ruling and remanded the case back to the trial court with specific instructions to enter judgment in favor of the third-party purchaser. In the 2013 majority opinion, the appellate court found that Florida law clearly provides that “the previous owner is jointly and severally liable” together with the new owner for all unpaid assessments that come due up to the time of the transfer of title. “The plain language of the Statute does not state or suggest that an exception is to be made when the previous owner is the condominium association.” Therefore, by positioning itself as the “previous owner,” the majority held that the condominium association became liable for the unpaid assessments and could not then impose that liability solely onto the eventual new owner. After the case was remanded back to the trial court, the trial court ruled that all three parties were jointly and severally liable for the unpaid assessments, but that the association as the creditor could collect in full from any of the three parties it chose. The trial court ruled that the third-party purchaser was required to pay the full amount of unpaid assessments, and that its only remedy was to seek contribution from the prior owners: the association and the original owner. The new appellate ruling concludes that the trial court “erred in holding Aventura Management jointly and severally liable with the prior two owners,” the association and the original owner who went into foreclosure. The new appellate opinion finds that the third-party purchaser “cannot be held liable for the unpaid assessments of the original owner.” The third-party purchaser could only be held liable for the unpaid assessments of the immediate prior owner, the association. The Third DCA’s recent ruling in this case sends a clear message to Florida condominium associations that when they take title to a unit, they will be unable to collect prior owners’ past-due assessments from the subsequent third-party purchaser at the bank’s foreclosure sale. The Florida legislature remedied this loophole for homeowners associations last year by amending the law to exclude homeowners associations, under Florida Statutes Chapter 720 governing HOAs, from being considered as the previous owner under the statute when HOAs take ownership of foreclosure units prior to banks’ foreclosures. We will have to wait and see whether the Florida legislature will take similar action in 2014 in order to remedy this issue for condominium associations under Chapter 718, Florida Statutes.